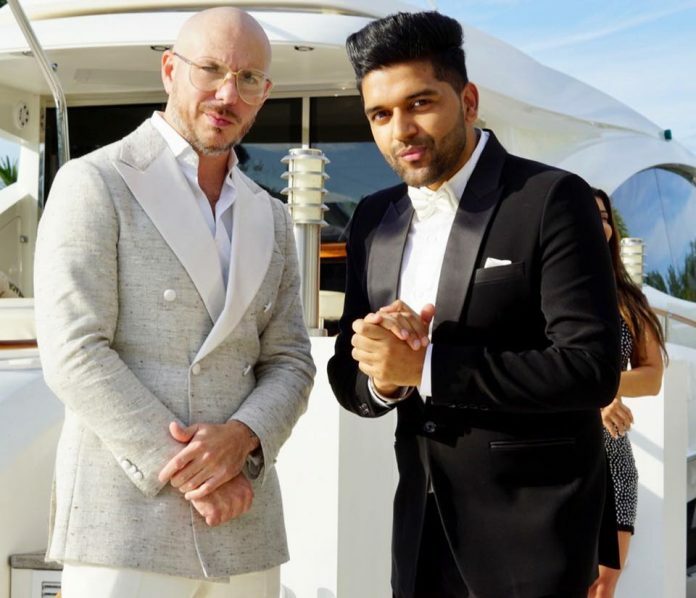 Home Music A GURU RANDHAWA AND PITBULL TRACK IS COMING! A GURU RANDHAWA AND PITBULL TRACK IS COMING! 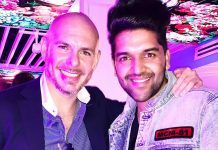 Punjabi singer Guru Randhawa announced that he has teamed up with international star Pitbull for a track. Guru Randhawa has had a huge year with tracks such as ‘Made in India’, ‘Downtown’, ‘Ishare Tere’, and he even made his Pollywood debut with ‘Aaja Ni Aaja’, for the Punjabi flick ‘Mar Gaye Oye Loko’. The ‘High Rated Gabru’ singer has been releasing songs near enough every month, and now he has an even bigger surprise in store for his fans. Guru is teaming up with ‘Mr Worldwide’ Pitbull for the ultimate collaboration that will be on everyone’s radar next year. There isn’t a lot of information out now about the track but what we do know is that it has been produced by DJ Shadow Dubai, MKSHFT, Blackout, RedMoney and Vee. The ‘Lahore’ singer was also recently in Miami, so we can be sure that the music video was shot out there with the help of Director Gifty. Speaking about the collaboration, Guru said: “I am quite excited to collaborate with Pitbull and the song has turned out good. Pitbull’s contribution to the song adds a magical spin that gives it yet another international twist. We can’t wait to hear this one when it drops next year!